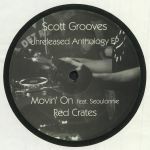 Review: Detroit producer Scott Grooves returns to his Modified Suede imprint with Bitter Sweet, following on from the jazz-driven Motor City funk of "The Journey". 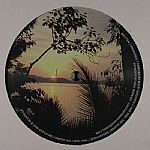 This 12" sees the underappreciated Grooves on typically excellent form; the title track offers a piece of dusty, subtle Detroit house, where fuzzy Rhodes piano are joined by jazzy string melodies and a mechanical groove in a similar manner to Kevin Reynolds' similarly slow burning "Liaisons", while "C Track" offers a sublime piece of rolling house whose urgent yet gentle piano chords are caught in a swell of bottom heavy bass and rattling hi-hats. 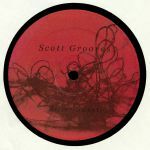 Review: ** WHITE LABEL PROMO EDITION ** As one of his more intermittent labels, Modified Suede has only put out a small handful of Scott Grooves releases previously, but now the imprint is back in action to offer up a few unreleased gems from the vaults. "Movin' On" is rich with vocals from Seoulonnie, keeping a smooth lounge tone to the deep house backing track with occasional chorus key-change flourishes. "Red Crates" is equally soulful although its righteous piano stealing the show instead of vocals here, while "Me Solista" gets into a Latin frame of mind with its chimes and shuffles. "French Road" represents the more adventurous side of the EP, heading into a more subtle soundscape populated by dubbed out melodics and low-bubbling percussion. 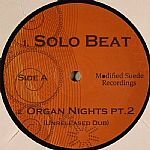 Review: As one of his more intermittent labels, Modified Suede has only put out a small handful of Scott Grooves releases previously, but now the imprint is back in action to offer up a few unreleased gems from the vaults. "Movin' On" is rich with vocals from Seoulonnie, keeping a smooth lounge tone to the deep house backing track with occasional chorus key-change flourishes. "Red Crates" is equally soulful although its righteous piano stealing the show instead of vocals here, while "Me Solista" gets into a Latin frame of mind with its chimes and shuffles. "French Road" represents the more adventurous side of the EP, heading into a more subtle soundscape populated by dubbed out melodics and low-bubbling percussion. Review: 4 song EP inspired by the human voice..also contains the long forgotten lyric sheet.